My name is Samantha Schannon, I’m a portrait photographer and owner of Samantha Annette Photography located in Guilford, CT. This winter I decided to create a personal project dealing with a subject very close to my heart. If you know me, you'd know I am a huge animal lover, I mean huge. I've adopted all sorts of creatures during my life, from the strays on the side of the road, to a pigeon with a broken wing. I chose to do something combining my love for animals and my portrait photography with the hope that it would make a difference. I found inspiration from a friend who volunteers for a local animal rescue called Project Precious Rescue. Over the past few years I have seen this particular friends dedication to the animals, from fostering, transporting, fundraising, and everything in between. She is the one who inspired me to want to do this project. It’s the hard-to-place-dogs that got my attention which is why I chose to feature (12 initially) 13 local dogs who have been stuck in a shelter or foster care for 6 months all the way up to 4-years. Let me be the first to stand up and say.... I have a dog that fits that description. My 3-legged dog Sheldon was in a foster home for a year before I rescued him. Adopting Sheldon was one of the best things I've EVER done. He is the most loving, amazing, sweet, gentle soul I've ever had and I cannot imagine my life without him. ALL of these dogs have that kind of love to give. Please take a moment to see the wonderful dogs featured below. Update: 3/23/2016 - As I near the project end, I was approached by someone advocating for a spot in The Love of DOGS for a very special dog. I had already chosen the 12, but after hearing about this very special dog thought it important to include him so we've got a bakers dozen with 13 dogs. When he gets excited his nose goes several shades redder! Snow is the best thing ever to Nemo! He buries his face in it and pounces in it! Nemo is SMART, he can figure out those dog puzzles in record time! Bathtime? No problem, he's a gentleman! Nemo thinks babies are pretty great. Nemo is approximately 1-year old and located in New Haven County in Connecticut and is currently AVAILABLE. Please email projectpreciousrescue2@gmail.com for an application. Meet Bonez!! Bonez is a Black Lab mix hoping his luck changes in 2016! He was picked up as a stray at a high kill shelter with a severe leg injury that had clearly been left untreated for some time. The shelter had two choices - euthanize him, or try to raise money somehow to amputate his leg which could prove to be difficult as shelters have minimal funding for veterinary care. Because of Bonez' happy go lucky personality, they chose to try! Bonez ultimately had the surgery but then was in need of rescue to help him find a forever home so Project Precious Rescue stepped in! This 1 yr old Lab is a goofy love bug who is full of energy! He is lively, loving, and so deserving of a forever home. He needs a strong handler with dog experience to help him become the very best he can be. He also needs an active family, with no young children. Bonez prefers a home without kitties and is good with other dogs smaller than he is. We think Bonez deserves a shot at a happy ending and we're excited for the day we get to see that happen! I love to explore and smell everything- the best part is that I snort like a pig during the whole process. Having 3 legs doesn't stop me. I have lots of energy that I need to get out- I would love an active family who will take me for walks, runs, and hikes. My snoring can be heard from anywhere in the house. My favorite way to eat is from my Kong Wobbler. I'm a pro at getting the kibbles out and it helps me get some energy out first thing in the morning. Although I'm very active, I'm also a couch potato. I love to spread out and take up most of the room while my family pets me. I came from down south, but I'm sure glad I live in New England now..I LOVE snow! I love basking in the sun while chewing on bones, antlers, or sticks. I'm terrified of slick surfaces because I start slipping and sliding since I tend to hop with my 3 legs. I won't walk across the kitchen unless my foster parents put down a rug for me. I love to play with other dogs- especially easy going dogs who are smaller than me. Oh and puppies! I love puppies! 4/2/2016 UPDATE from Project Precious Rescue: "Our 1 yr old lab boy Bonez just returned to his foster home after his two week training camp and we are beyond happy with his progress! Through this training, we learned that Bonez NEEDS an active lifestyle. He loves to run, hike and go on walks. He also enjoys playing with other dogs (of all sizes) - and would really benefit from a home with another confident pup to show him the ropes. Bonez thrives with structure and exercise! He's a goofy guy that has tons of love to give and we are confident that he will make someone an extremely loyal and loving best friend. He is finally ready to find his forever home - if you're interested in meeting this handsome hunk, email projectpreciousrescue2@gmail.com." Bonez is approximately 1-year old and located in New Haven County in Connecticut and is currently AVAILABLE. Please email projectpreciousrescue2@gmail.com for an application. Meet Hercules! Wow does this boy have a story, talk about heartbreaking! This beautiful baby was spotted by Project Precious Rescue in photos online. his condition was absolutely horrific, painful open wounds, Demodectic (non-contagious) mange, and swollen infected paws that prevented him from being able to walk more than a few steps, and sections of his skin were literally falling off. They sprang into action and went to get him right away. Even in what must have amounted to a extreme amount of pain, this little guy was still wagging and happy to be loved and given attention. 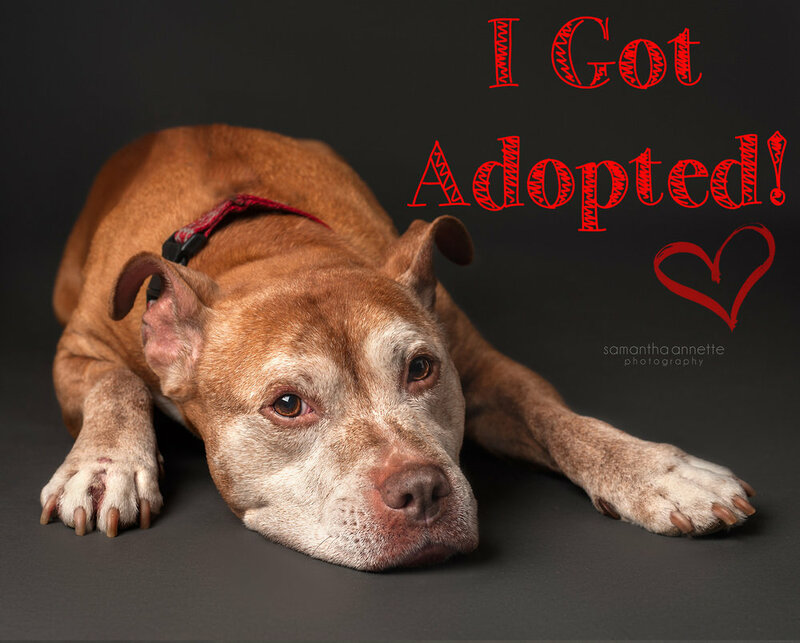 He ultimately thrived in their care, and has been searching for his forever family ever since. I will say personally when I went to photograph him, he leaped into my lap and drenched me in kisses. He was so sweet! Hercules is approx 45 lbs. He needs a patient, understanding and experienced family with no other dogs or a smaller mellow dog to give him a chance at a forever home. This guy has been through hell, between major medical issues (which have been resolved) to being adopted then bounced around by his adopters and ultimately ending up back with the rescue. He is so deserving of his happily ever after. Project Precious Rescue estimates Hercules to be about 3-4 yrs old and possibly a Shar Pei or Shepard mix of some kind. I melt into a puddle and grunt when I'm getting a rub down. I love curling into a ball with my blankets. When my foster parents are watching TV, I love to lay on them and be rubbed. Being around people is my absolute favorite. I will be in your lap and on my back waiting for you to love me. I have a very unique strut- I do high kicks with my front legs when I walk. I've been told that I act like a squirrel because I get so excited I make quick, spazzy movements. I'm very athletic and active. I love to run around in circles and run back in forth in the backyard. I would love a family to take me along for their runs. I haven't been around too many dogs, but my foster brothers and sisters have been pretty cool in my book. I love to sit in the window and watch all the cars, dogs, and people go by. Hercules is approximately 3-4 years old and located in New Haven County in Connecticut and is currently AVAILABLE. Please email projectpreciousrescue2@gmail.com for an application. Meet Jersey! Looking at Jersey now you'd never know all he's been through. Back in Feb 2015 Project Precious Rescue rushed to an animal control facility after getting an urgent call that a dog had been butchered TWICE by a shelter vet while trying to amputate Jerseys tail. When she walked into the room she was absolutely shocked. The photos I've included are quite disturbing but according to Project Precious Rescue, were no match to what this poor pup actually looked like sitting in front of them. He was frail at nearly 20lbs underweight, couldn't really walk, there was not an ounce of muscle anywhere, and every single bone in his body was protruding. The doctor said though, that even in his condition, he would wag his nub painfully when he recognized a familiar face. Jersey underwent a complex operation after being rescued, cutting so close to his spinal cord there was risk of paralysis. Luckily Jersey had a few angels looking out for him. Against all odds he made a miraculous recovery. Today he is a goofy lovable boy who is excellent with other dogs and is doing well in his foster home. He is a medium size dog at about 50lbs now. Jersey isn't crazy about kitties, and would do best in an adult home as he has some trust issues (understandably) and needs someone understanding and willing to take the time he needs to build his confidence while giving him lots of snuggles and love. Jersey can't wait to have a family of his own. If Jersey had a theme song it would be "Everything is Awesome" from The Lego Movie...because well, too him everything is AWESOME!!! He loves his giant squeaky Kong tennis ball. He takes it everywhere with him. He will share it with you, but he really hopes you will throw it for him. Jersey loves to be tucked in with blankets. If you ask him if he wants to be "tucked in" he will go lay down and wait for you to cover him with the blanket. Jersey is a sensitive guy and the biggest baby you will ever meet. All he wants to do is please his people. He wants to be part of the team and tries very hard to figure out what will make you happy. When Jersey gets excited he will bring you presents. The more he likes you the better his presents get! If he really like you he will even bring you his food bowl...that is when you know you are in! Jersey loves to cuddle and is excellent at spooning in bed. Jersey is approximately 2 years old and located in New Haven County in Connecticut and is currently AVAILABLE. Please email projectpreciousrescue2@gmail.com for an application. He is an exceptional baby kisser however you must be careful that he does not knock down the babies! 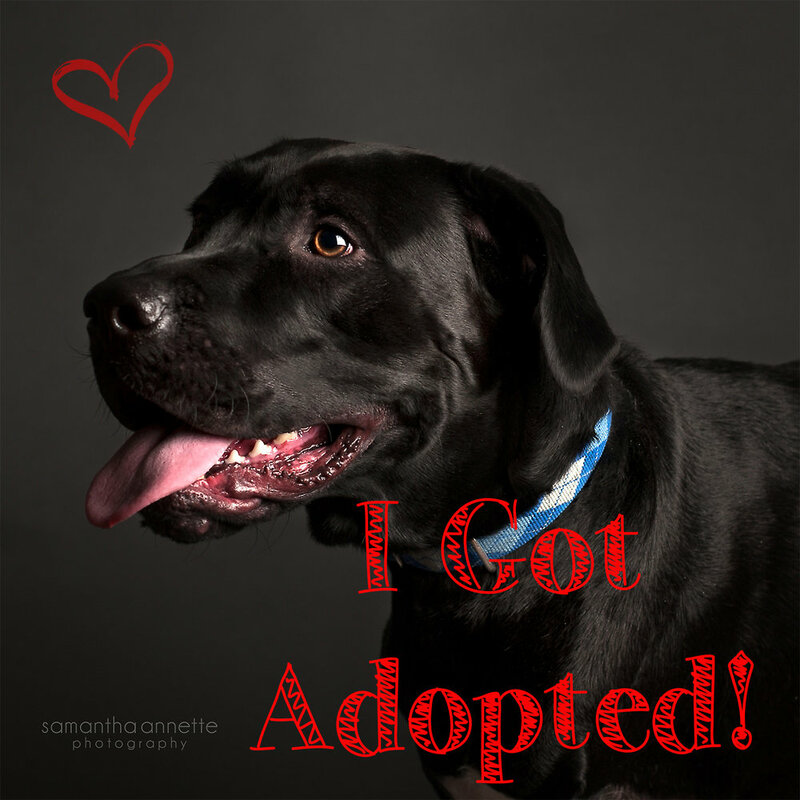 THANK YOU FOR SHARING JORDAN'S STORY - HE FOUND HIS FOREVER HOME! UPDATE: I received an email from West Haven Animal Control on March 7th and it made me so happy. It feels amazing to know that I made a difference in this dogs life! Jordan found his forever family. A very nice couple who live on the countryside on several acres adopted him bonded with him quickly and have vowed to take him hiking every day. The email ended with this: "Thank you so much for all your help in marketing him, the reason they came in was because they saw your beautiful photos online." Meet Diego Jose! Diego Jose is a 1-year old Chihuahua/Yorkie mix just under 6lbs of adorableness and desperately wanting to find a home of his own. Project Precious Rescue rescued Diego Jose and found him a home shortly after but unfortunately due to no fault of his own he found himself back at the rescue when the family had an emergency and could no longer keep him. It's been 5 long months of waiting, and he is hoping to find his family soon. Diego Jose is great with both dogs and cats, as well as older children. Project Precious Rescue would prefer he go to a home with people who have had experience with small dogs. He loves his squeaky toys so much, he will play with them until he get the squeaker out! He loves people so much that he will wait and whine outside the shower; if you are at all visible he will lay down and wait for you. Whenever you arrive with a new toy for him, his eyes get wide like a toddler at Christmas! 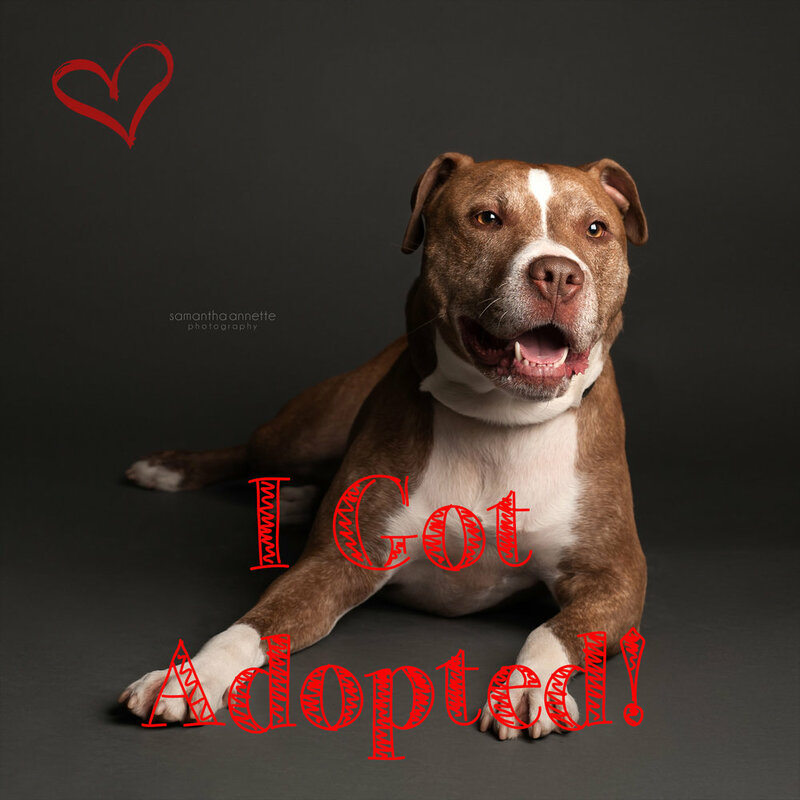 THANK YOU FOR SHARING DIEGO JOSE'S STORY - HE FOUND HIS FOREVER HOME! Meet Summer! Summer is a Yellow Lab mix approx 5 years old and would love to leave 4 years of shelter life behind. A little over 4 years ago Summer was rescued from a kill shelter in Georgia. She had a rough time, but luckily landed at the no-kill shelter The Animal Haven, Inc. in North Haven, CT. Summer briefly went into a foster home, but before she was fully adjusted they took her to a dog park where she became nervous and as a result got into a fight with another dog. The foster family decided they no longer wanted her and brought her back to Animal Haven. Unfortunately she's been there ever since. Summer has a LOT of love to give, it just takes her some time to warm up to strangers, and she can be a bit unsure of men. She is incredibly loving once she gets to know you, but as of yet no one has wanted to spend the time needed. Summer has been successfully working with a trainer that comes in to work with the dogs at the shelter and is responding great. She knows some basic commands and loves to please. She loves to give kisses, go for walks and hikes, and is okay with other dogs (although not all). The staff at Animal Haven have become her family and they told me she's a giant loving lap dog, but their deepest wish is to see this amazing girl go to a forever family of her own, one that doesn't involve her living in a cage. THANK YOU FOR SHARING SUMMERS STORY - SHE FINALLY FOUND HER FOREVER HOME! Meet Rafael! Rafael is a 6 year old beautiful spaniel mix who has been living at The Animal Haven, Inc. for 2 years now. He was found tied to a post starving, left to die with no food or water in an abandoned house in Bridgeport. When he was rescued he showed everyone nothing but snuggles and kisses, but once in a shelter environment, began experiencing anxiety and became less trusting of his surroundings. Rafael soon began to act out by biting at strangers he didn't know. We can only speculate what happened to him prior to being found, but just like with people, it was likely very traumatic. He has come a long way and is very loving with the staff at Animal Haven. They have spent a lot of time and energy working on enriching his experience as best as they can in a shelter environment, including getting him on a regimen of Prozac, and working with a trainer, both of which has helped quite a bit. Rafael loves to play ball, go for walks and hikes and being loved on by familiar faces. He loves the regular volunteers, one of which comes to take him for car rides and long walks to try to bring some normalcy to his life. Rafael just isn't a dog for the shelter, he would really thrive in a home! He would do best in a patient adult home with no cats, where he can feel secure and safe, and have a family all to himself. On a personal note, when I was photographing Rafael he was being handled by the trainer and was very attentive to her. he was eager to please her and was very good listening to her. Additionally, this little dog enjoyed praise and petting JUST as much as being rewarded by treats. Rafael is approximately 6 years old and is located in New Haven County in Connecticut and is currently AVAILABLE. Please call 203-239-2641 for an application. Kelvin LOVES to be outside and bask in the sunshine! Playtime with Kelvin! I spent some time after photographing Kelvin to catch him in action with some of his favorite toys. 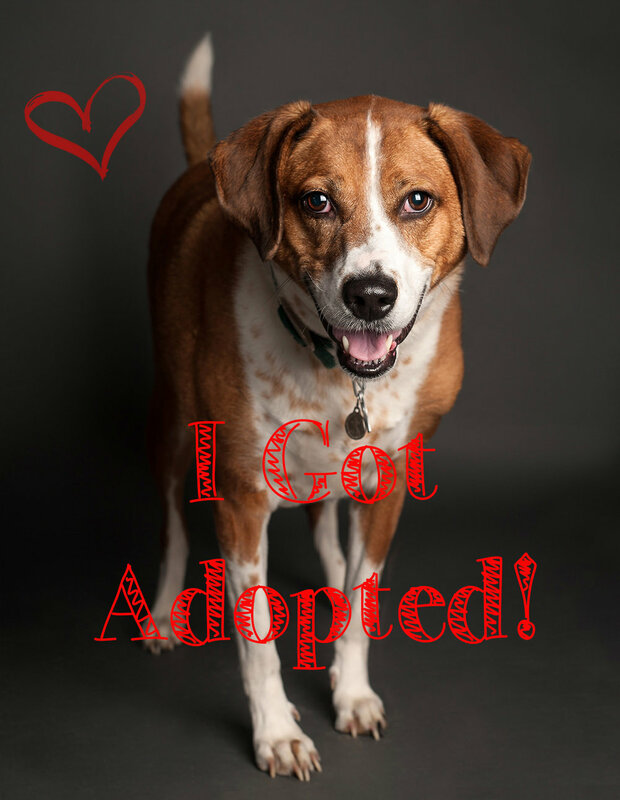 THANK YOU FOR SHARING KELVINS STORY - HE FOUND HIS FOREVER HOME! Meet Charlie! Charlie is a boxer mix and approximately 3 years old. Charlie is such a sweet and loving boy and has been at the Meriden Humane Society for the past 7 months. The most shocking part, is that the kennel is literally the BEST place he has ever lived in his whole life. Poor Charlie had lived his entire existence up until rescue in a basement in inches of his own waste. When he was rescued and stepped out into the sun, it was the first time he ever laid eyes on a blue sky, green grass or smelled fresh air. Some dogs in his situation would be aggressive or mean but not Charlie, he is affectionate and loving and incredibly sweet. Charlie still has some weight to put on, so he's a little skinny at the moment, but he is neutered and fully up to date on all his vaccinations. I was told Charlie could be a little shy when first meeting you, but he wasn't at all with me, in fact he was wagging his tail, loving and very well behaved! Charlie of course isn't perfect, he hasn't had any guidance growing up and sometimes has trouble expressing himself. He can also lean towards being a bit socially awkward, however with the right family this should improve, but he may need some training. Charlie does need a strong handler (he can pull a bit on leash, but loves to walk!) and someone willing to be very patient with him as he's never been in a home before. Meriden Humane Society has stated he would do best in a quieter home, with no other pets and no young children (preferably (17+) so that he could take the time needed to adjust to having a family and a home of his own. THANK YOU FOR SHARING CHARLIES STORY - HE FINALLY FOUND HIS FOREVER HOME! Meet Tacoma! Tacoma was an owner surrender 9 long months ago when his owners moved and had to get rid of all their pets. Luckily he found his way to the Meriden Humane Society which is a no-kill shelter. Although not too much is known about Tacoma's past, one thing is clear, Tacoma is a love bug! He loves to play, and go for long walks and especially loves to roll in the grass. Have a big fluffy blanket lying around? He'll try to snuggle up in that too! Tacoma is approximately 4 to 5 years old, 65lbs, neutered and fully up to date on all his vaccinations. He is strong so needs a strong handler, and a home with no other pets or small children under 7. The shelter would really love him to have a fenced yard but it's not required. Tacoma does have a Chicken allergy, so his food does have to be chicken free. This boy was incredibly sweet and a joy to photograph, he was well behaved and eager to please. 9 months is a long time to live in a cage, he is ready to find his forever family. If you scratch his behind he will be your friend for life! Tacoma is very treat motivated and knows sit, paw, and down. Tacoma is approximately 4-5 year old and located in New Haven County in Connecticut and is currently AVAILABLE. Please email meridensociety@sbcglobal.net or call (203) 238-3650 for an application. Meet Sparky!! Sparky is a 65lbs, 7 years young neutered Beagle/Hound mix who has really had quite a rough year. Poor Sparky had a wonderful life with an owner who loved him, but sadly about a year ago she passed away. Unfortunately her family did not honor her wishes of his remaining in his home with her family. Sparky was ultimately dropped off at the closest shelter leaving him feeling scared and alone in a cage. Sparky was adopted rather quickly and bonded very closely to one of the members in the family, but his protection instincts kicked in and he didn't want to share his new owner. He was returned to the shelter and the same thing repeated itself with the next family. The staff at the shelter truly believe he just needs time to adjust to a new family, he has had love ripped away from him 3 times now and so it's understandable he's trying to forge strong bonds with people. Within 5 minutes of my meeting him he was snugly and kissing my face, displayed incredible smarts and was very eager to please. This is the kind of dog, that if you let him, will love you forever. Ideally the shelter would love to see him adopted by one person, or at least a quiet home with no children. Sparky is a staff and volunteer favorite at the shelter. He loves everyone there and was so gentle and sweet with me when he warmed up to me. He's really ready to go home, he is eagerly awaiting his new forever family. Please take a few moments to watch the below video of Sparky enjoying some outdoor and snuggle time with one of the staff members at the shelter. Every once in a while Sparky gets to take a car ride and he LOVES them! Sparky is a true gentleman and will gently take a treat from your hand. If you take Sparky out to play he would rather sit with you and be pet than play with any toys. Sparky is great on a leash and LOVES to be walked! If you ask for Paw or Sit Sparky will happily oblige. Sparky is a leaner, he likes to sit and lean on your leg. He misses human contact so likes to be close! Sparky is approximately 7 year old and located at the Dan Cosgrove Animal Shelter in New Haven County in Connecticut and is currently AVAILABLE. Please email lburban@branford-ct.gov or call (203) 315-4125 for an application. Meet Diesel! Diesel is a neutered 13 going on 14 year old Pitt Bull Terrier, who was with the same family since he was 8 weeks old. Sadly they no longer wanted to keep him and Project Precious Rescue stepped in and saved him from going to a shelter. Diesel was re-homed this past summer but the families dogs were not accepting of this old soul. Currently Diesel is residing in a foster home with another dog and doing great. He really is sweet as can be, and while he is great with other dogs, one with a quieter temperament might be best since he doesn't have the energy to keep up for very long. Diesel is up to date on all shots, but unfortunately when he went for his neutering, a mass was discovered and the test results did come back malignant. The next step is an abdominal ultrasound and consultation with an oncologist to determine the best course of action, prognosis etc. PPR is hoping that Diesel has a few good years left in him, but they need to do more diagnostic testing first to further determine the staging of his cancer. If you watch the below video you will see that he is playful, young at heart, and not displaying any symptoms of being sick other than some sores on his legs that were treated but have recently returned. He loves kids, enjoys his daily strolls, treats & snuggling with his human. Diesel is crate trained and house trained. When I went to photograph him, I was amazed at his energy level! He is a bit deaf so that was challenging to get him engaged with my camera, but he has a beautiful loving spirit and gentleness about him that just made me want to hug him (and I did, see below!). Please consider giving this amazing dog a loving home in the golden years of his life. He's so special!! Diesel is approximately 13-14 years old and located in Fairfield County in Connecticut and is currently AVAILABLE. Please email projectpreciousrescue2@gmail.com for an application. I couldn't help but share this image of Diesel and I after I was done photographing him. He gave me a snuggle and a big kiss!